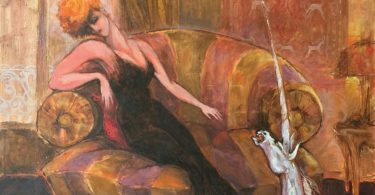 American artist watercolors, etchings, drawings and mixed media Terry Firkins creates oil paintings, works that utilize bold gestures and a muted palette. He depicts diverse landscapes, portraits, and literary scenes using a loose hand that borders on abstraction. Idyllic coastal vistas, vivid sunsets, and figurative tableaux from everyday life are each rendered with conviction, and while each subject is depicted in a different style, the works’ similarities lie in their strong marks and compositional restraint. In his nonrepresentational works, the artist conveys his commitment to abstraction as a vehicle to communicate subtle and sophisticated concepts about the realities of human nature. 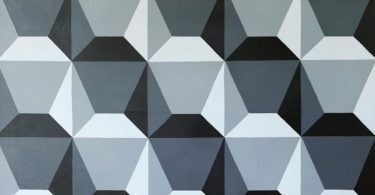 In his oil and acrylic on canvas painting titled The Mystique of Being, Firkins paints an abstract composition in a monochromatic palette of black, white, and grey. 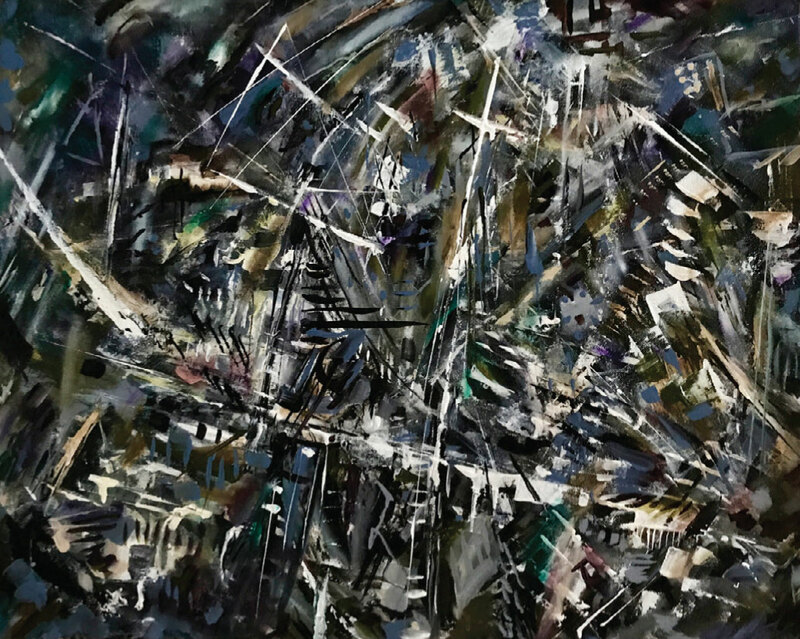 The bold brushwork and pared down color lends the work a feeling of tumult, as the fractured lines appear to tumble around the picture plane in erratic bursts. Conveying the psychological or emotional state of the artist, the painting is an attempt to capture the elusive meaning of human existence. The dynamic composition, with its emotive brushwork and complex layering, conveys an unflinching determination to live an examined and intentional life.